All across the country condo and townhouse communities depend on DaVinci Roofscapes polymer slate and shake roofing solutions to help keep units safe from fire, severe weather and daily weather conditions. 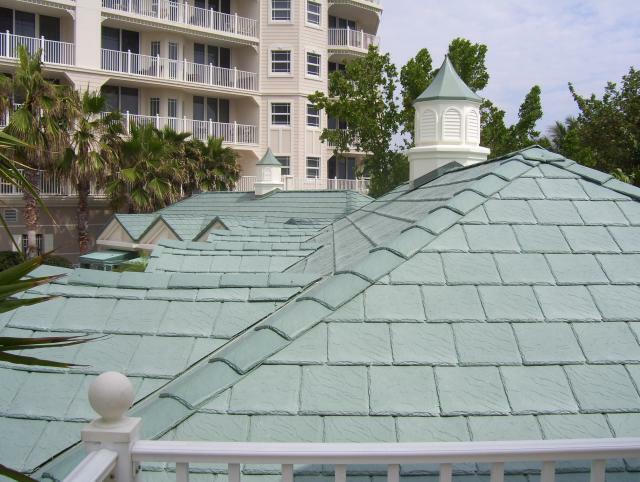 In Florida, condo resident at Jupiter Ocean Grande discovered the hard way that the metal roofs on their high-rise homes and facility buildings started rusting and fading less than five years after installation. To solve their roofing headaches, the homeowners association turned to compositive roofing tiles from DaVinci Roofscapes. Backed by a 50-year limited warranty, the impact-resistant tiles meet high wind velocity codes, making them ideal for this coastal community. “We had many challenges when selecting a replacement roofing product,” says Richard P. Eannarino, president of the Jupiter Ocean Grande homeowners association. “First, we needed a replacement roofing product that would meet our area building codes and could stand up to hurricane-force weather conditions, including 125 mph winds. Second, since we’re less than 500 feet from the ocean, we needed a tile that would resist salt air, sea spray and potential damage from the sun. Third, we needed a color match to our original metal roof since we won’t be able to complete all the reroofing work at the same time. 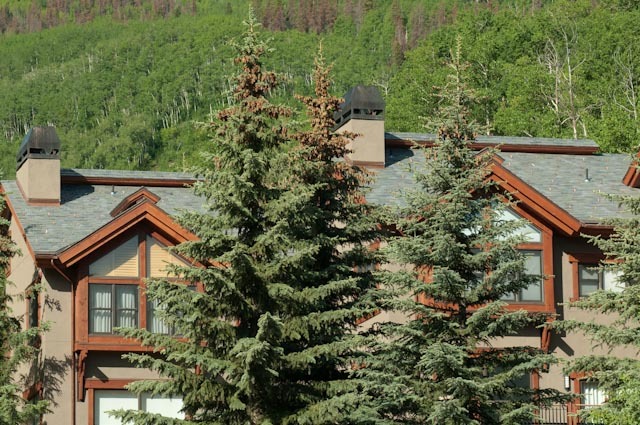 Another resort-location community that has found that environmentally friendly roof materials have solved their roof problems is Elk Track Town Homes in Beaver Creek, Colorado. Each of the town homes in the community sells for between two and five million dollars, so the investment of custom roofing colors is essential. One of the key reasons DaVinci synthetic roofing tiles were selected for the Elk Track Town Homes projects was the company’s ability to custom match the colors of the tiles to the existing roofs in the community. Visit California’s Mai-Kai Condos Stand Out with New DaVinci Multi-Width Shake Roofing for another successful DaVinci Roofscapes condo story!